Amanda Jackson Band: Maritimes to Memphis? 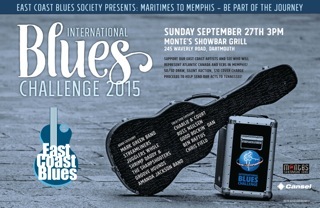 We're excited to be participating in the 2015 Maritimes to Memphis - International Blues Challenge! If you're in the Dartmouth area on September 27th, this will be the place to be! Come out and cheer everyone on!